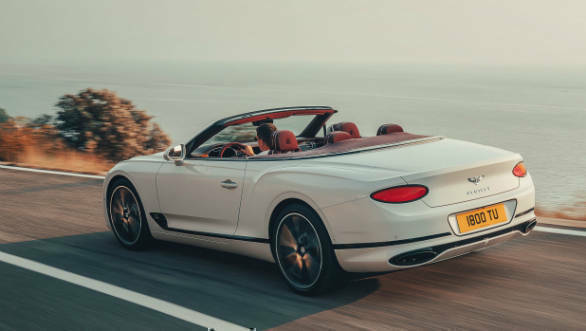 Bentley has unveiled the drop-top version of the latest Continental GT, the Bentley Continental GT ahead of its full reveal at the 2018 LA Motor Show. The convertible version carries forward most of the coupe's styling cues with the obvious lack of a roof. The retractable roof can be optioned in a tweed-like waterproof material. 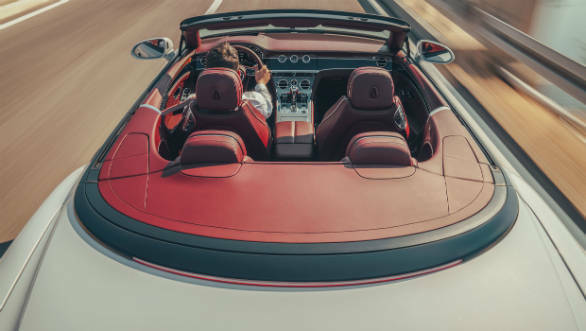 The drop-top can be opened or closed in 19s at speeds of up to 50kmph. There are also more effective, quieter neck warmers. There are also new Pirelli tyres which uses the brand's noise cancellation tech. The convertible also comes with a rotating center console display. Passengers can switch between the usual infotainment screen, a wood panel which houses a compass, temperature gauge, and chronometer or just a simple wood panel. 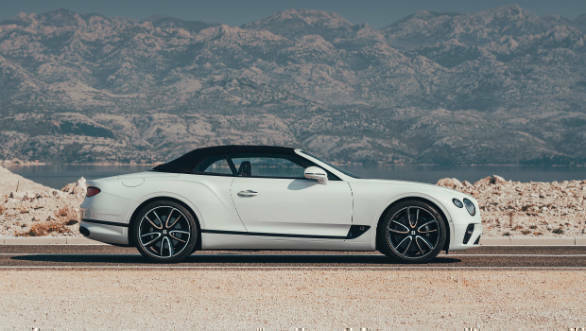 Like the coupe, the Bentley Continental GT convertible is powered by a reworked version of the last GT's 6.0 litre twin-turbo W12 petrol. This makes 635PS and 900Nm, allowing the convertible to get from 0 to 100kmph in 3.8s and on to a top speed of 333kmph. 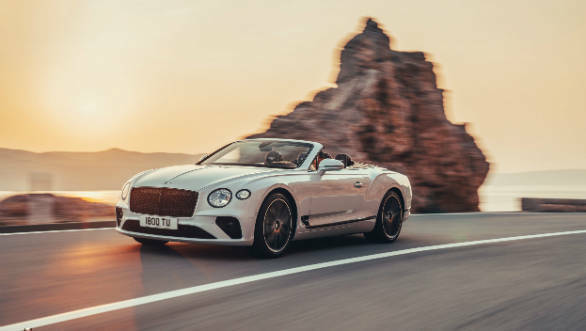 The coupe was an exhaustive update and now with the convertible, Bentley has made these advancements available to a wider audience. Expect prices to be at some premium over the coupe, breaching the Rs 1.75 crore.